A unique, extra special greeting card for someone special. 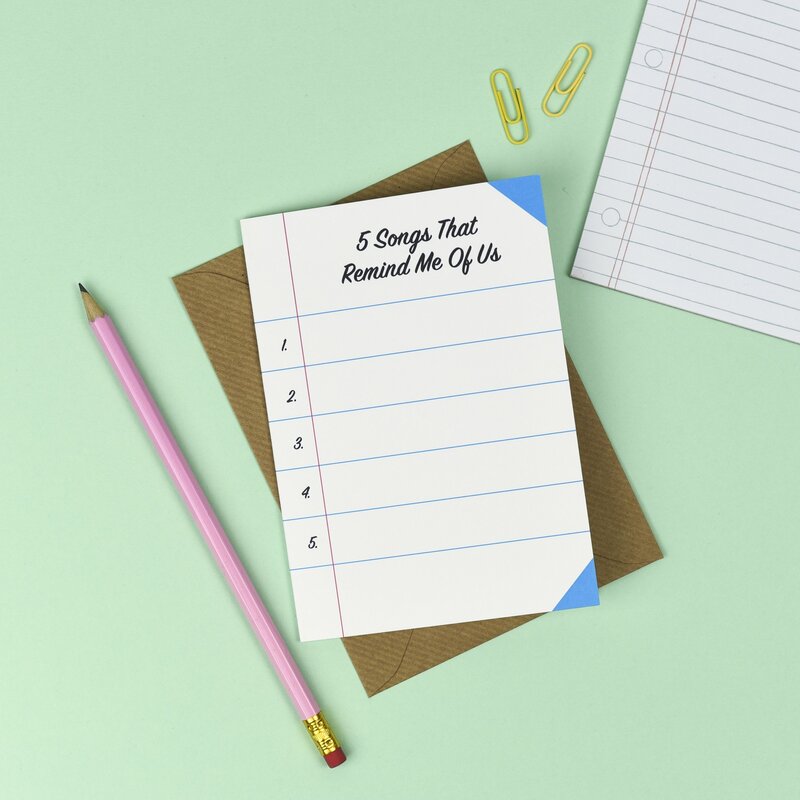 List 5 songs that you share a love of and create a truly memorable card that they will likely keep for ever! Part of a wider list card range by Kate & The Ink. Supplied with a quality kraft brown envelope and packaged in a cello bag. Posted in a sturdy card-backed envelope.